Dr. Gerald Del Rio is a pulmonology doctor in Pittsburg, California and works with many hospitals in the area, among which Sutter Delta Medical Center, John Muir Medical Center Concord CA and John Muir Medical Center Walnut Creek CA. 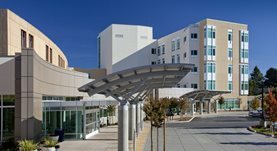 He received his medical diploma from University of California Davis School of Medicine, did his Internship at San Francisco General Hospital Medical Center and completed his Fellowship in Pulmonary Disease and his Residency in Internal Medicine at VA Medical Center. The doctor has more than 20 years of experience.